The National Marine Fisheries Service has not followed through on its findings that two species of seals should be listed under the Endangered Species Act. 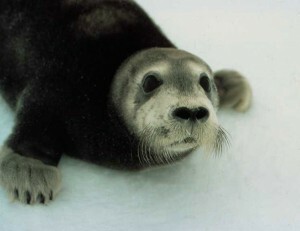 The Center for Biological Diversity Wednesday asked the Federal Courts to order a specific date by which bearded and ringed seals be listed. The center originally petitioned the listing in 2008. After several delays the Marine Fisheries Service published its own findings that agreed with the petition and proposed the listing. Rebecca Noblin, the Alaska Director for the Center, says that publication in December of 2010 set a one-year deadline for completion of the listing. “In December of 2011, they issued a public notice saying they were going to take six more months to just make sure their science was right and to have more peer review. So that would have put them out to June of 2012. Since then, we haven’t heard any word for why the delay is,” Noblin said. The court papers say that the lack of the endangered listing will result in irreparable harm to both species. “Climate change is really, really altering the Arctic quickly. As we’ve seen, this is the lowest sea-ice year ever since we’ve been recording sea ice. And sea ice is absolutely essential for these seals. The time to act is now, and NMFS has said that’s it’s planning to act. And under the Endangered Species Act it’s required to go ahead and finalize the listing decision so we can start getting some protections in place,” Noblin said. Julie Speegle, with the National Marine Fisheries Service, says work on the listing is ongoing, but she is not allowed to comment on litigation.